Not long ago the world’s media reported the story of a brilliant virtuoso who had to let go of his Stradivari violin after 13 successful years. The violin in question was the ‘Lady Inchiquin’; the soloist was Frank Peter Zimmermann. We decided to explore the history of this fine instrument and what caused Zimmerman to part with it. The mistake was repeated by Henley, whose description of the ‘Parke’ reads: ‘Originally owned by William Cramer and others. In the possession of Fritz Kreisler for a number of years. […] Later belonged to Lord Inchequin, and bought by a Mr. Aufenart in 1948 from Puttick & Simpson’s.’  In fact Henley had mixed up at least three instruments! Although Fritz Kreisler owned three Stradivaris (the 1711 ‘Earl of Plymouth, Kreisler’, the 1733 ‘Huberman, Kreisler’, and the 1734 ‘Lord Amherst of Hackney’), there is no written proof to confirm that he owned or even played either the ‘Parke’ or the ‘Lady Inchiquin’. And, as we shall see, it was the ‘Lady Inchiquin’ that was auctioned at Puttick & Simpson’s and purchased by Mr Aufenart. Even the dealers Bein & Fushi confused the two instruments in their 1980 certificate for the ‘Lady Inchiquin’, stating: ‘The instrument is known as The Parke, so named for one of its early owners. The instrument is referred to in the Hills’ work on Antonio Stradivari.’  In fact, the Hills mentioned the ‘Parke’, not the ‘Lady Inchiquin’ in their book. These mistakes are even more puzzling if we consider that, although crafted in the same year, the violins can hardly be mistaken visually because the ‘Lady Inchiquin’ has a one-piece back, while the ‘Parke’ has a two-piece one. This instrument is named after its former owner, Ethel Jane Foster (18??–1940). She was the second of three daughters of Hannah Jane Stansfield (1842–1918) and Major Johnston Jonas Foster (1827–1880) of Moor Park, near Ludow, Shropshire. 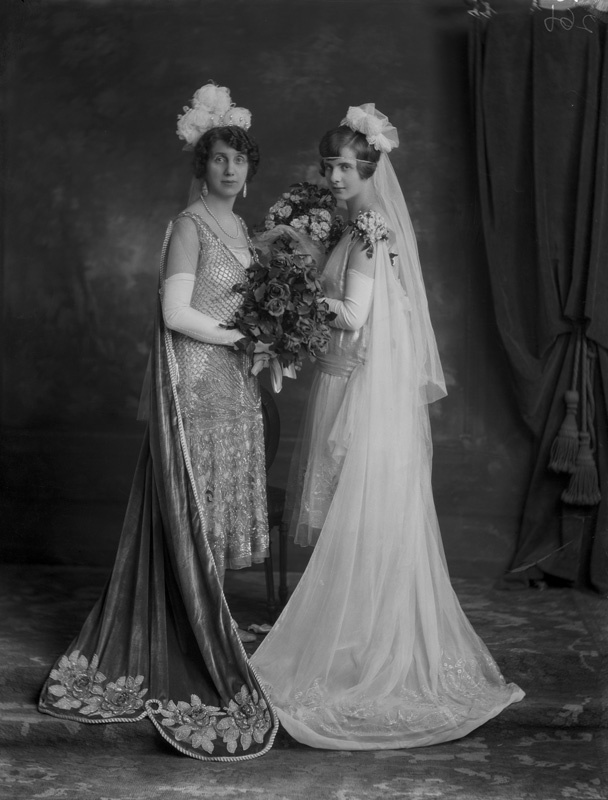 On January 14, 1896 she married Lucius William O’Brien at Richard’s Castle, near Ludow. 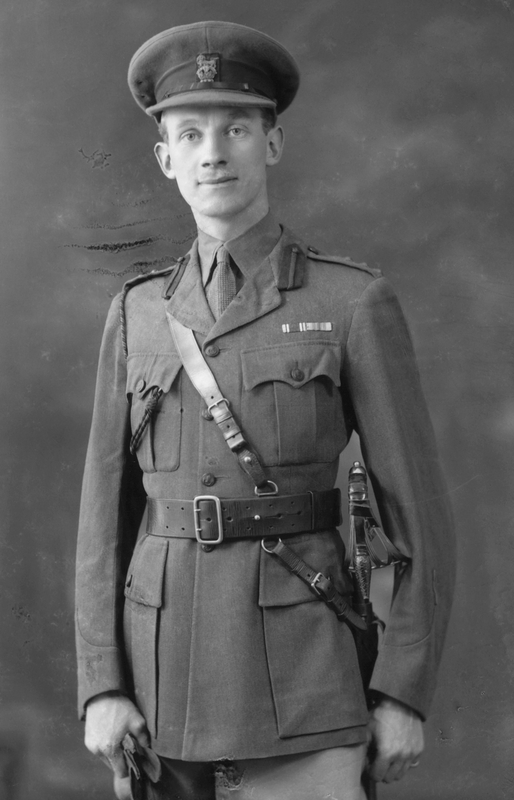 O’Brien (1864–1929), 15th Baron of Inchiquin, was a member of the venerable O’Brien family, which was one of the few native Gaelic families of royal blood to descend directly from Brian Bóruma, High King of Ireland in the 11th century. Richard’s Castle became the couple’s English residence and Ethel Jane was raised to Baroness of Inchiquin on April 9, 1900. A few years before this marriage took place, the violin was in the possession of the Hills, who sold it to a Mrs Foster of Moor Park, Ludlow, on March 15, 1889. It is highly likely that the Mrs Foster the Hills referred to was Hannah Jane, the mother of Ethel Jane, and the violin was possibly a present to Ethel Jane. Lady Inchiquin owned her namesake instrument until her death in Ireland, at Dromoland Castle, Newmarket-upon-Fergus, on June 5, 1940. Apparently her eldest son, Sir Donough Edward Foster O’Brien (1897–1968), 16th Baron of Inchiquin, kept the violin for some years and finally auctioned it at Puttick & Simpson in London on April 1, 1948. On that occasion the ‘Lady Inchiquin’ was bought by Mr Aufenart (sometimes spelled as Aufenast) of Switzerland. In the late 1960s the instrument was part of the renowned collection of Cho-Ming Sin of Hong Kong. According to Walter Scholefield, former violinist of the Berlin Philharmonic, Sin decided at some point to buy the ‘King Joseph’ Guarneri of 1737. In order to acquire this violin, Sin sold two of his instruments. One of these was the ‘Lady Inchiquin’, which was brought to Bein & Fushi, who sold it to Scholefield for $210,000 in 1978. Five years later the then 18-year-old violinist Frank Peter Zimmermann was in Berlin to give a concert with the Berlin Philharmonic. On that occasion he met Scholefield and the ‘Lady Inchiquin’. Was it love at first sight? Not exactly. During this first encounter, the reaction of the young violinist was lukewarm. Although impressed by the deep, dark tones of the instrument, which reminded him of Guarneri ‘del Gesù’, Zimmermann regretted that the Strad was acoustically not at its best and commented that he ‘could not play with it’. However, a couple of years later Zimmermann had the chance to play the violin again, after it had been restored, and he realized immediately that he had found ‘his’ violin! 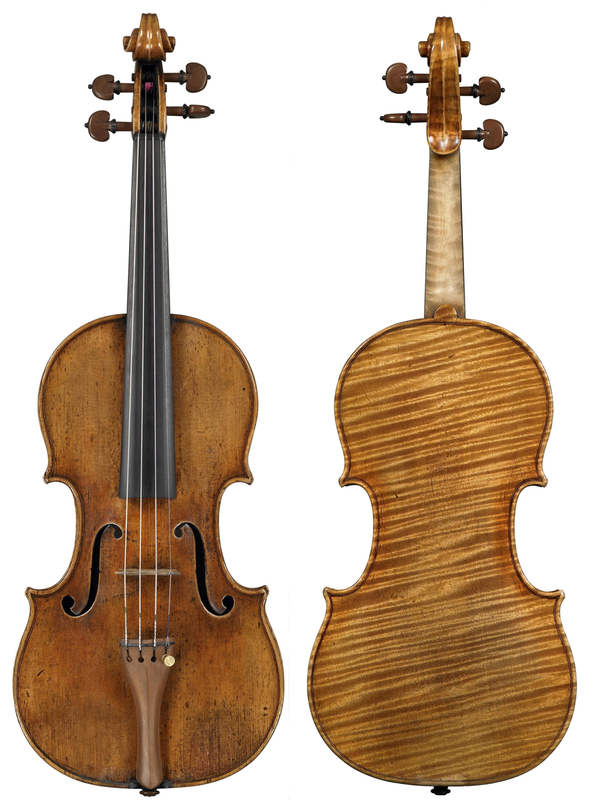 In 2001 the Düsseldorf-based bank WestLB AG (Western German State Bank), which had sponsored Zimmermann since the beginning of his career, bought the ‘Lady Inchiquin’ from Scholefield for $2.8 million and gave it to Zimmermann with a ten-year free loan agreement at the end of which he could buy the violin for an exclusive purchase-option price. Unfortunately, some years later, on June 30, 2012, the bank failed and its rich art collection, which also includes Stradivari’s 1684 ‘Croall, McEwen’ and a cello by Giuseppe Rocca, was assigned to Portigon AG. Zimmermann’s contract expired in 2012 and was renewed by Portigon initially until August 2014 and then for an additional six months. It now seems that Portigon will be forced to sell its assets in order to pay off all unsettled debts  and although protracted negotiations took place in which Zimmermann offered to purchase the violin for €4.9 million , 13 the bank’s asking price is around €5.8 million. Therefore, a few days before his contract expired in February 2015, Zimmermann returned the ‘Lady Inchiquin’. UPDATE, July 2016: the North Rhine-Westphalia government in Germany has now bought the ‘Lady Inchiquin’, and has confirmed that it plans to hand the violin back to Zimmermann on long-term loan. Thanks to Portigon AG and Roberto Regazzi for assistance with source materials. A longer version of this feature was published in the May 2016 edition of ‘das Orchester’ magazine. Hart, George, The Violin: Its Famous Makers and Their Imitators, First edition 1875, Reprint Dulau & Co., London, 1909, p. 196. Goodkind, Herbert K., Violin Iconography of Antonio Stradivari 1644–1737, Larchmont, New York, 1972, p. 21. Doring, E. N., How Many Strads?, Bein & Fushi, Chicago, 1945, reprint 1999, p. 389.
 Henley, William, Antonio Stradivari, master luthier, Cremona, Italy, 1644–1737, Amati Publishing Ltd, Brighton, Sussex, 1961, p. 53. Bein & Fushi certificate, Chicago, January 26, 1980. Hill, William Henry; Hill, Arthur Frederick; Hill, Alfred Ebsworth, Antonio Stradivari. His Life and Work (1644–1737), W.E. Hill & Sons, London, 1902, reprint 1963, Dover, New York, p. 59. Hill, W.E. & Sons certificate, London, March 15, 1889. Hill, W.E. & Sons certificate, op. cit. Interview with Walter Scholefield in the programme Kulturzeit, 3sat, Mainz, March 9, 2015. Interview with Walter Scholefield, op. cit. Rossmann, Andreas, Streit um West-LB-Kunst Die Geigenfrist läuft ab, Frankfurter Allgemeine Zeitung online, Frankfurt, February 19, 2015  Gropp, Rose-Maria, Kunstsammlung gerettet? Kehrtwende in NRW, Frankfurter Allgemeine Zeitung online, Frankfurt, January 22, 2015. Schwering, Markus, Stargeiger trennt sich von ‘Lady Inchiquin’ Frank Peter Zimmermann gibt millionenteure Stradivari zurück, Kölner Stadt-Anzeiger online, Cologne, February 21, 2015. Smith, Jennifer; Houston-Waesch, Monica, Performer at New York Philharmonic to Play Without Prized Stradivarius, The Wall Street Journal, New York, February 26, 2015. Chinese collector buys 1727 Stradivarius violin, The Strad, London, February 2015, p. 14. Büning, Eleonore, Eine goldene Stradivari hören Sie sofort, Frankfurter Allgemeine Zeitung online, Frankfurt, January 21, 2016.